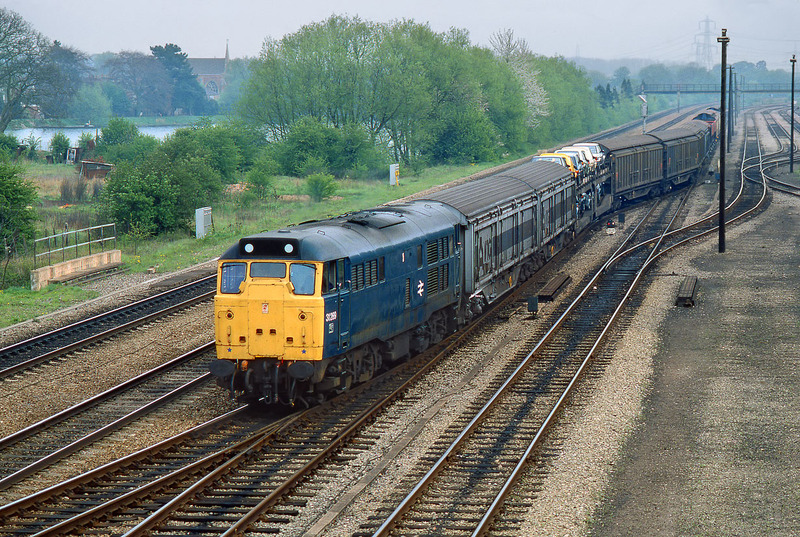 On a very gloomy 8 May 1985, 31289 pulls slowly out of Hinksey Yard with the 6M93 16:20 Morris Cowley to Bescot Speedlink. It had called at the yard purely to be overtaken by 58016 on a northbound coal empties. As can be seen by the deserted sidings in the background, this was the period when Hinksey Yard was effectively disused.